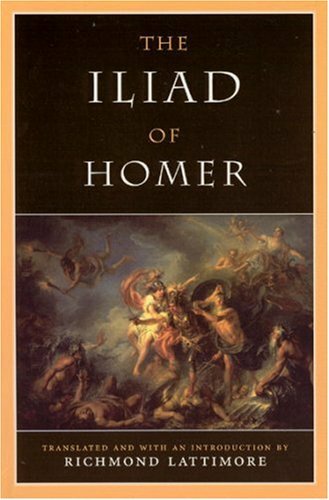 I thought Homer was a pretty poor father on the Simpsons, but the guy can write a pretty mean epic poem! Look, I don't have too much to say about this one. The story has been around for a few thousand years, so it's not like I have too much to add to it here. The poem has all your usual faces from greek lore - Agamemnon, Achilles, Zeus, Mars, Aphrodite, Hector, Paris, Helen of Troy, and so on. This litany of characters can actually make it difficult to follow, especially if you were raised with their Roman names, - it's Zeus, not Jove. You should read this if you are in Mrs. Moore's Grade 12 English class, or if you are a big nerd like me. We everlasting gods . . . Ah what chilling blows we suffer—thanks to our own conflicting wills— whenever we show these mortal men some kindness. Mars, god of war, bitching to the other gods. This replica watches sale possess a price-range which is appropriate in order to everyone. The expenses differ depending on the characteristics inside each and every watch. Nevertheless not one of many fake watches have a tendency to be over-priced and also the prices focus on just about all of the prospects. Firetrap Watches tend to be confirmed to marketplace high-class and tag heuer replica worldwide of folks by way of virtually all regions. These folks market breitling replica which are really created, cheap along with way more functions Firetrap Watches a well-known business, which has been advancing similar to none other in the market linked with watch-making. These are the replica watches sale mixture of design as well as technologies, a number of breitling replica sale so the shoppers will probably possess a mixture of to choose from, depending on their demands.